Magnificent pyramid shape glass award handcrafted in flawless clear optical crystal and Sapphire Blue crystal. 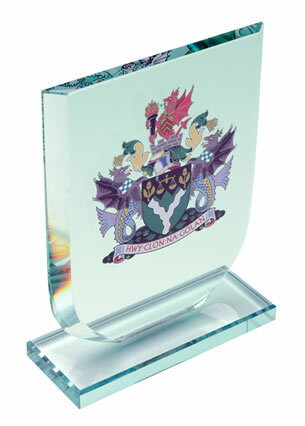 15cm tall, offered with engraving and/or colour print options, supplied with black foam lined presentation box. A magnificent modern crystal award with an ancient inspiration. These 'Luxor' awards feature a pyramid design, a shape that has symbolised human endeavour and achievement since ancient Egypt. 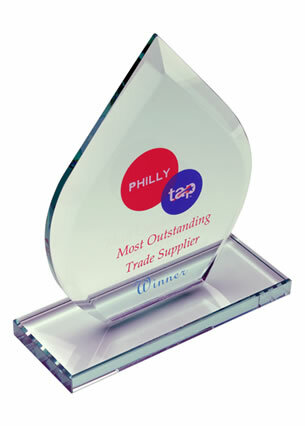 The awards are handcrafted in flawless clear optical crystal and Sapphire Blue crystal. Optical crystal refracts light in a myriad of directions as the award is held and turned, creating a different aspect every time. 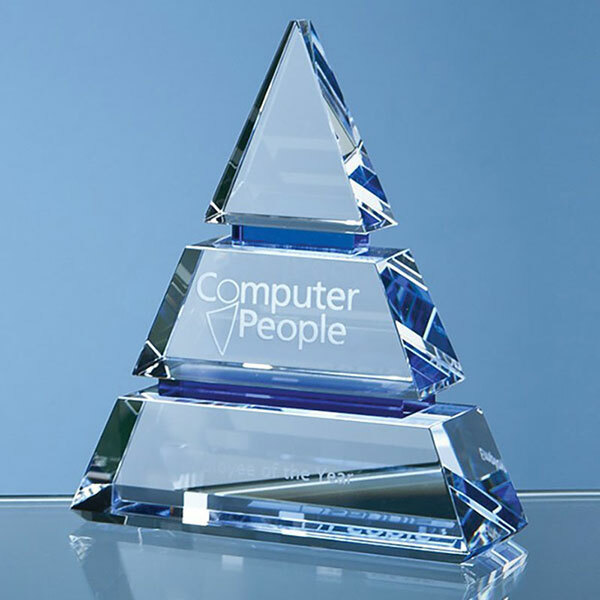 These 15cm tall crystal Luxuor awards can be customised on the flat front of the pyramid design and we offer engraving and/or colour print options. 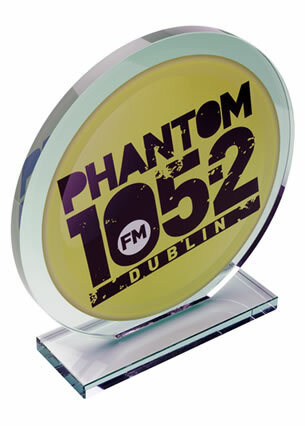 Each award is supplied in a black foam-lined presentation box.